In 1951 a suit was filed against the board of education of Topeka Kansas. The plaintiffs were thirteen Topeka parents on behalf of their twenty children. 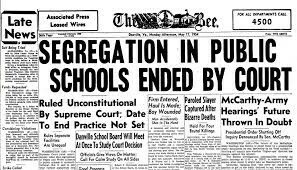 The suit called for the school district to reverse racial segregation in its elementary schools which operated separately for black and white students. It was an Kansas 1879 law that allowed schools to do this with students in 12 communities with populations over 15,000. The parents (plaintiffs) had been recently recruited by the Topeka NAACP. 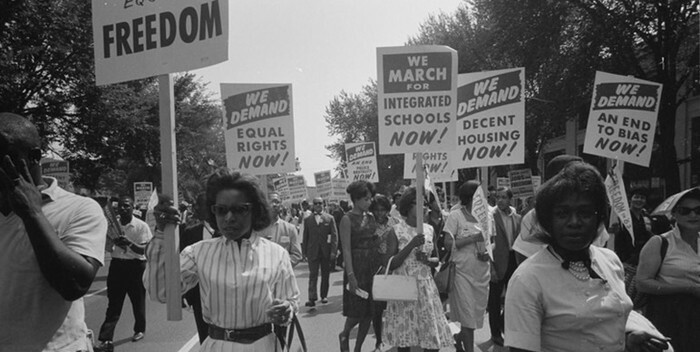 The parents showed America that "equal but segregated " schools weren't actually equal at all. So many schools across the nation treated white schools so much better than black schools by giving them better teachers, new books, closest to home, and and better facilities. The black schools got the whites old used textbooks, and usually one teacher to teach several grades. The district court in the end ruled in favor of the board of education, using the Supreme Court decision set in please vs. ferguson. 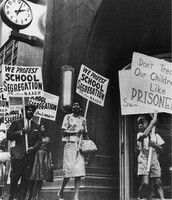 The three judge panel found that segragated public schools had a detrimental effect on African American children but denied relief on the ground that African American and white schools were indeed equal with curricula, transportation, buildings, and the qualifications of a teacher to be hired. 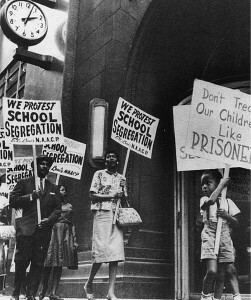 In 1953 the Supreme Court heard the case but was unable to decide the issue and asked to rehear the case in the fall of 1953, with special attention to whether the fourteenth amendment's equal protection clause prohibited the operation of separate public schools for whites and blacks. The judges came to an unamoious decision to overturn please vs. ferguson and end segragion. The effects led to the slow end of segragion of schools and public places all across America.